Solar cells produce electricity from the sun. Solar modules are interconnected by solar cells. Solar energy systems for homes are like small solar power plants. You can find the explanation of these concepts and much more about independent solar systems and the use of electricity produced by solar cells on this website. Solar energy is becoming one of the most important sources of electricity. The energy of the sun is practically inexhaustible. Photovoltaics is a science that deals with the conversion of light from solar energy to electricity. Electricity from the sun is obtained in solar cells. Photovoltaics does not cover the use of solar thermal energy. The entire solar technique in the exploitation of solar energy for the acquisition of solar electricity is covered by the term photovoltaic. PV is an abbreviated photovoltaics tag. 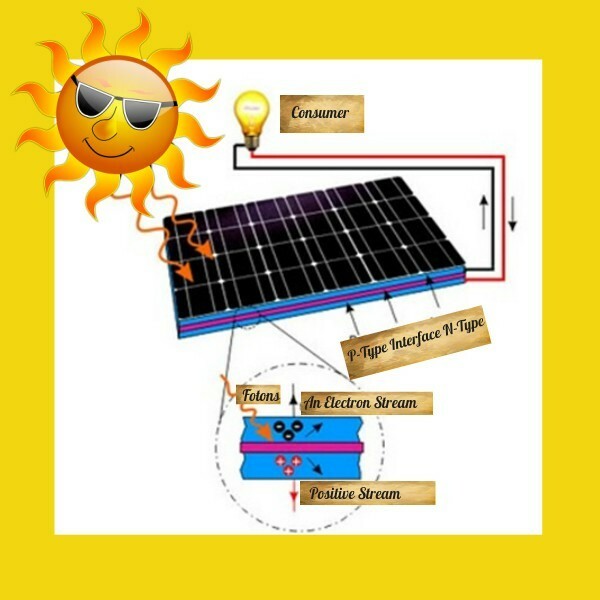 There are two principles of solar radiation exploitation, transforming solar energy into heat and direct transformation into electricity through photovoltaic cells. Solar photovoltaic converters are used for direct conversion of solar light to electricity and are derived as photovoltaic cells, which can be made from monocrystalline and polycrystalline silicon, amorphous silicon, cadmium telluride or copper-indium diselenide. Solar cells for electricity convert light of solar energy. The solar cell also works in bad weather in the winter, only that the acquired electricity from the sun then is more modest than in good weather. Solar cells are made of different technologies. The most widely used are monocrystalline solar cells in polycrystalline solar cells. Lately, they are on the great rise of an amorphous solar cell. The price of solar cells due to high production and competition is constantly falling. Photo Voltaic (PV) cells or solar cells transform solar energy directly into electricity. They produce electricity without moving parts, operate quietly without any emissions and much maintenance. Photovoltaic cells work on the principle of the photoelectric effect and convert solar energy into electrical. Very thin tile of crystalline silicon with the addition of arsenic-exposed to solar radiation behave like semiconducting compounds. Light particles (photons) with silicon atoms generate electrons out of the crystal grid, and on one side of the semiconductor compound creates an excessive negative charge, and on the other side a positive consequence of which is the current flow. Photovoltaic cells have multiple layers made of different materials. The top layer is a glass cover and could be some other material that protects the cell from weather conditions. The next layer is anti-reflective that prevents light reflection back. Two semiconductor layers of solar cells cause electron motion. Solar cells also have two metal nets, i.e. two electrical contacts. One is located below the semiconductor material; the other one is above. The top network or contact collects semiconductor electrons and leads them to an external consumer. The lower contact layer closes the electric circuit. 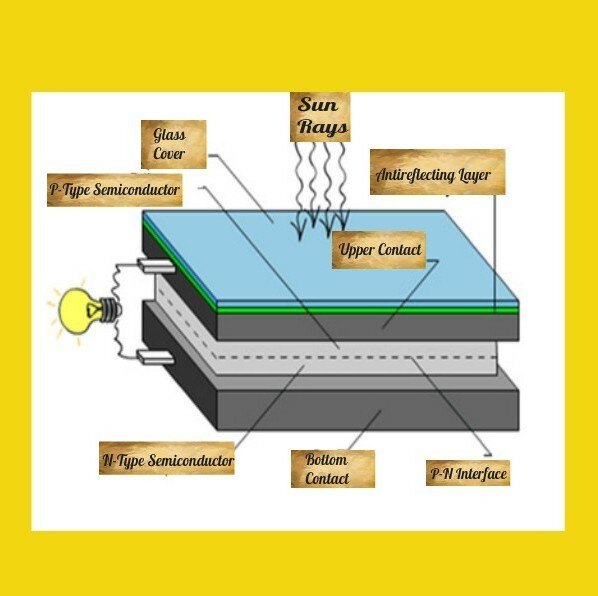 The solar cell has only 0.5V voltage, so the solar cells are interconnected into solar modules. Due to the protection of solar modules, they are in aluminum frames and on the front side, solar modules are protected by a special type of glass that protects against atmospheric influences. In the solar panel, 36 or 72 solar cells are usually interconnected. Solar modules produce a direct current. The nominal voltage of solar modules is 12V or 24V. The solar modules can bind each other. In this way, we can increase the voltage or the power of solar modules. 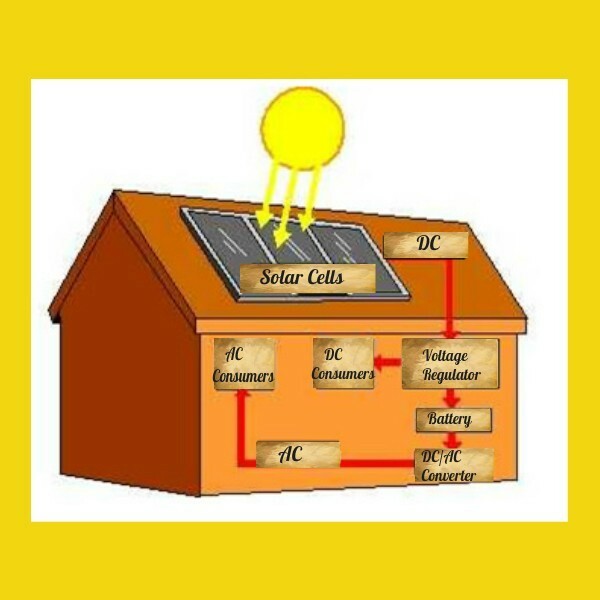 Photovoltaic systems represent an integrated array of photovoltaic modules and other components, designed to transform primary solar energy directly into the ultimate electrical energy to ensure the performance of a certain number of DC and/or AC power, either alone or with a backup source. There are photovoltaic systems in the form of small roof systems for households (less than 10 kW), medium size systems, 10 to 100 kW and large systems over 100 kW that are connected to the distribution network. The prices of solar systems have dropped dramatically for the last twenty years. In the early 1980s, the costs amounted to $ 25 / W, today about $ 4 / W and is considered to fall further. With photovoltaic systems for households, photovoltaic modules are best mounted on the roof of the house. The output power of a cell depends on the orientation and inclination of the module, so it is possible to install a control system that changes the orientation and angle to the daily and annual motion of the sun to maximize radiation exposure. Because of its electrical properties, solar modules produce a direct current (the same as we get from a pocket battery). Components such as charge controllers, batteries and inverters regulate, store, and deliver electricity to the ultimate consumer. Electrically coupling cells during the production generate photovoltaic modules of standardized features, from which lightweight, and if necessary, upgraded small, reliable and completely independent energy systems. Due to the long lifespan, simple construction and relatively low-cost photovoltaic systems are ideal for setting up where the construction of a conventional energy divide is complex and expensive. Maintenance is easy and does not require special expertise or equipment. Photovoltaic modules can be implemented in two ways, as stand-alone photovoltaic modules and as networked. As stand-alone, they are performed as pure DC, as a combination of dc-alternating performance or as a hybrid with auxiliary sources, which can be wind turbines, hydro-turbines, small cogeneration sources, and petrol or diesel aggregates. When they are networked, they use the network as an energy container. During sunshine, its “production surpluses” are shed on the net, and in the night mode of operation, or when insolation is small, “deficits” are taken from the network. For the uninterrupted acquisition of solar electricity, in addition to solar modules, a number of other elements are needed, which together constitute solar systems for electricity. The solar system can be connected to the public network. We call such a solar system a solar power plant. At a time when solar cells produce a surplus of electricity, electricity is emitted to the grid and is, if necessary, taken from there. The price of solar energy – solar power plants is also acceptable because of state aid. Electricity from the sun, formed by solar cells in solar systems, can also be produced only for our own needs. In this case, the solar system is not connected to the public network. Since solar electricity is needed even when solar cells do not produce electricity or produce too little, the solar system is designed to save electricity from the sun in solar batteries. These solar systems are called island or stand-alone solar systems. Solar systems are based on DC voltage and supply consumers with DC voltage. By using an inverter, it is also possible to operate AC voltage consumers, which are commonly used in households. hybrid, which is basically related to other (renewable) sources. In stand-alone (autonomous) systems, connection to the electrical network is not a necessary condition for their operation. When they are to be supplied with electricity during the night or in periods with a low intensity of solar radiation, it is necessary to have an electrical storage tank for which batteries (batteries) are used. This circuit requires the addition of a controller for controlled charge and discharge of the battery, and by adding a DC converter (= 12 V / (230 V)) autonomous systems can satisfy all types of typical network consumers such as washing machines, refrigerators, pumps, televisions, radio, computers, vacuum cleaners, small appliances and other consumables. The advantage of such stand-alone systems is the convenience of securing the required amount of electricity for remote (isolated) consumers such as rural (seaside) or seaside resorts or for some individual facilities, such as various types of signaling and warning, lighting, telecommunication relays, lighthouses, monitoring systems and the like. Unlike stand-alone photonics, systems are connected to the network. Hybrid photovoltaic systems, created by connecting independently to other alternative sources of electricity. They can be combined in combination with wind turbines, hydro generators, auxiliary gas or diesel aggregates. Their potential advantage over stands alone photovoltaic systems is certainly greater security and availability of electricity delivery and the ability to use less battery capacity as energy storage tanks. Combinations (“hybrids”) using gas and diesel aggregates systems are dimensioned so that the aggregates use a few hours a year to save fuel, reduce maintenance costs, and extend the lifespan of the system. Passive network photovoltaic systems use electricity only conditional, i.e., when photovoltaic modules cannot produce sufficient amounts of electricity, primarily at night when the electricity accumulators are simultaneously empty. Active or interactive network photovoltaic networks use interactive, taking in case of greater need or returning it in the case of surpluses of electricity produced in photovoltaic modules.